However I'm at a total loss when it comes to ordering print on line, all those weights, finishes and colours... I don't know about you but they get me pretty confused. I mean how are you supposed to know what a piece of 300gsm card will feel and look like if you can't see it or touch it!? gsm - or grams per square meter, the higher the gsm the thicker the paper, when you get to 300gsm and higher it's more paper than card but we'll talk more about that in a bit! Lamination- not the same as what you do down at the office with the laminator! It's a bit more sophisticated but still the same basic principal, your print is covered with a film to protect it, this will mean it's a bit safer around water, good for the menus you might want printing for your tables or placenames too! Ideal for: Everything! This paper is a great all-rounder. Ideal for: Photo printing especially but this paper probably isn't the greatest for your invites unless you're going for a magazine feel! Uncoated - Our uncoated paper has a soft finish and tactile quality. Because it's more absorbent than coated paper, printed inks appear flatter. 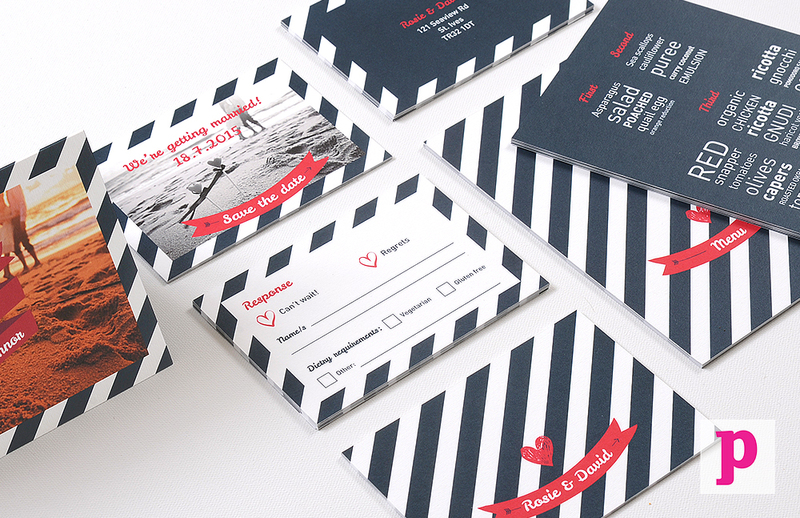 Uncoated is back as the more modern choice, also the best choice for stationery or postcards as it's easy to write on. Ideal for: Everything! This would be my top choice for wedding stationery! Trucard - A specialist greeting card material that is glossy coated and scratchproof on the outside, and uncoated on the inside so it's easy to write on. We use heavy 300gsm card for high-quality greeting cards that last. No lamination needed. Ideal for: Thank you cards, greeting cards, postcards & note cards. Recycled - Our recycled paper is an environmentally friendly choice. It is off-white and uncoated, with a course texture and earthy, flecked depths. It gives finished print a flatter, modern feel because it is more absorbent than coated papers. Magnetic - Magnetic is a sleek, flexible, magnetic printing material made up of coated paper and a magnetic layer. This has a finish similar to our silk paper, with a low surface shine and a readable finish, perfect for sticking to the fridge! 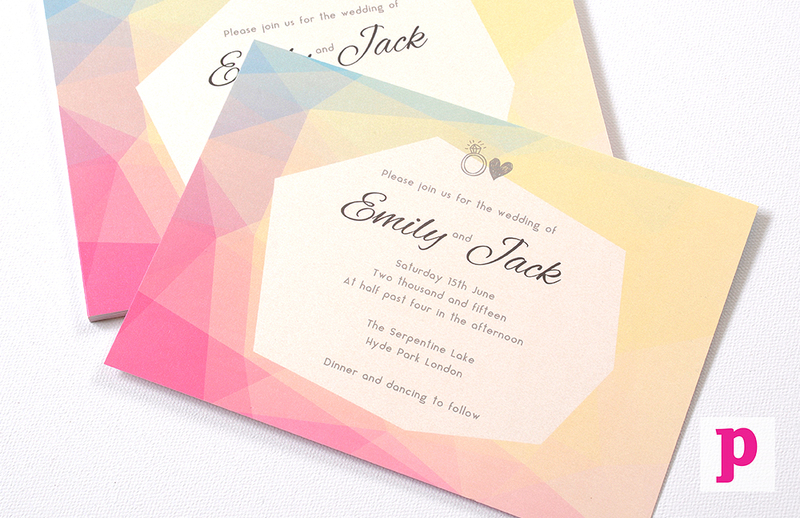 Ideal for: Save the dates, personalised gifts and favours. Kraft - Kraft paper is a smooth, earthy brown and brings a vintage edge to print. It has a natural, textured appearance, much like our recycled paper. 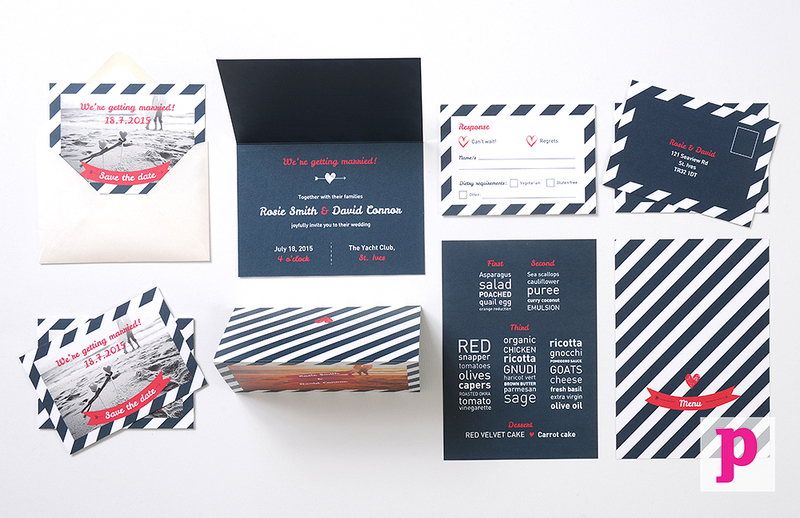 Kraft paper suits bold, dark coloured designs and retro themes and has an uncoated finish. Ideal for: Greeting cards, postcards, invitations and note cards.This is the paper for you if you're going for the rustic look or if you want your text printing in white, which looks awesome against the brown paper. This is probably the most confusing part of ordering print online, I find it super hard to visualise and imagine the feel of different weights of paper! In terms of value for money too it's hard to work out weather it's worth the extra pennies to go for the heavier stock, but it generally is. The best weight for your invites is going to be on the heavier side 300gsm or higher, unless you're doing a zine type invite you want a stiff card (similar to a post card) that won't get trashed in the post. The diagram above explains it quite simply on the left 120gsm is good for business stationery, headed paper, envelopes etc... on the far right 350gsm you're looking at thick business card quality so this would be perfect for your placenames especially if you want folded ones that will stand up. 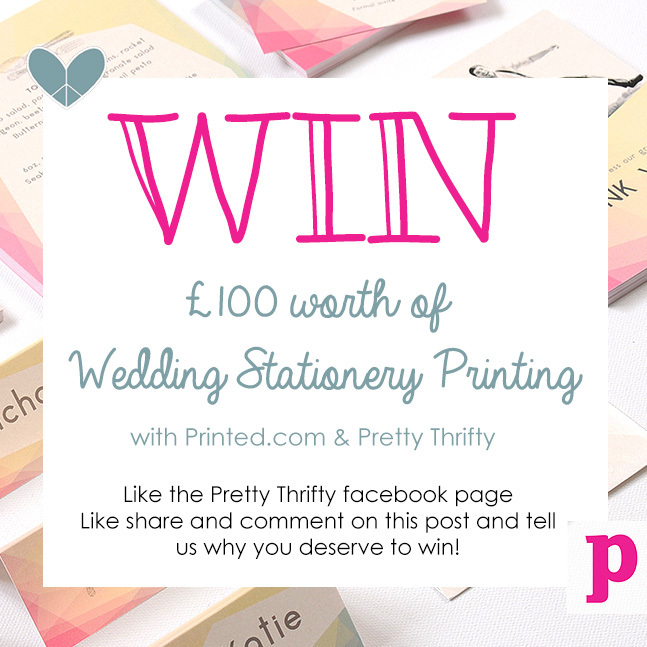 So now you know the secrets of ordering great print, who wants to WIN their stationery printing to the value of £100!?! 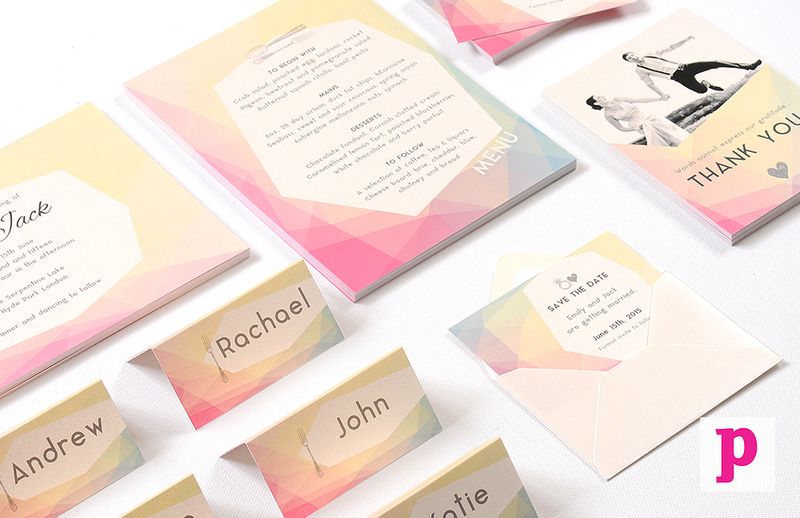 Gorgeous Wedding Invitations. Perfectly Designed. The printed envitations are really wanderful. I like all of them. Very good points you wrote here..Great stuff...I think you've made some truly interesting points. Glossary is very useful for the language study. Thank you for the posting on the blog. 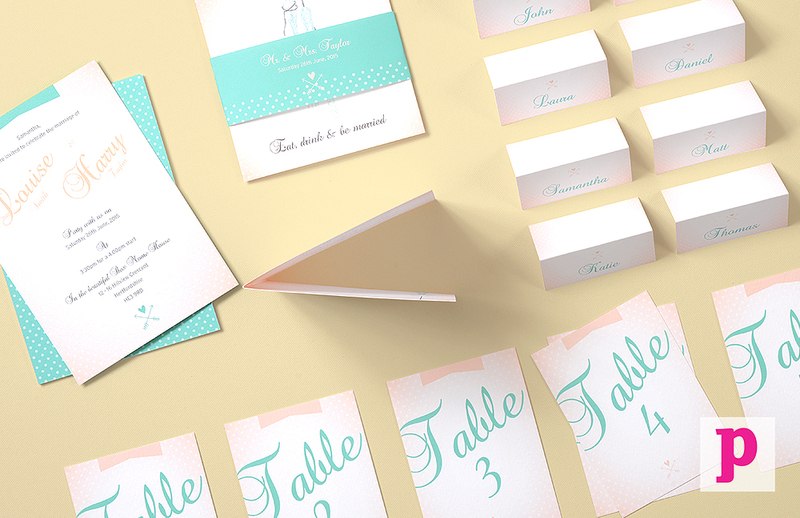 You can use various free templates to create your own invitations and other necessary attributes is quite inexpensive.